Originally intended to be the first of the Florida Keys, Key Biscayne is an island about 12 miles or 19 kilometers from our starting point in Bayside Marketplace. Ride through downtown and the financial district first before taking a scenic ride on the Rickenbacker causeway which offers stunning views of Miami Beach. 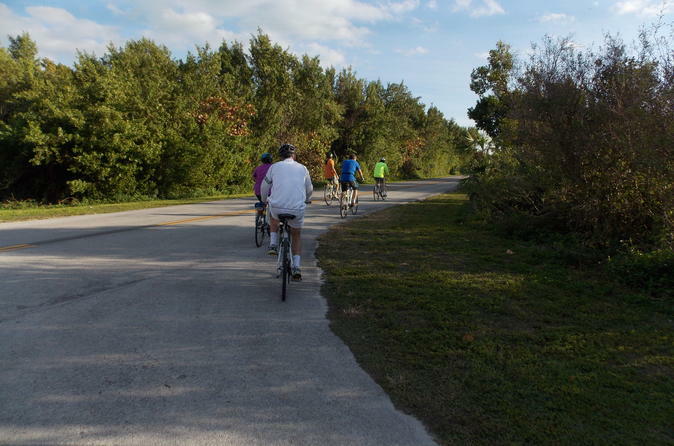 See some of the best beaches in Florida by biking ride down to Bills Baggs State Park. When arriving, visit the oldest structure in Florida, the famous Cape Florida lighthouse, and take a quick dip in the most pristine part of the village. Intended for advanced riders looking for a scenic ride. Stop at the Crandon Park Tennis Center, where the Miami Open is held every year.